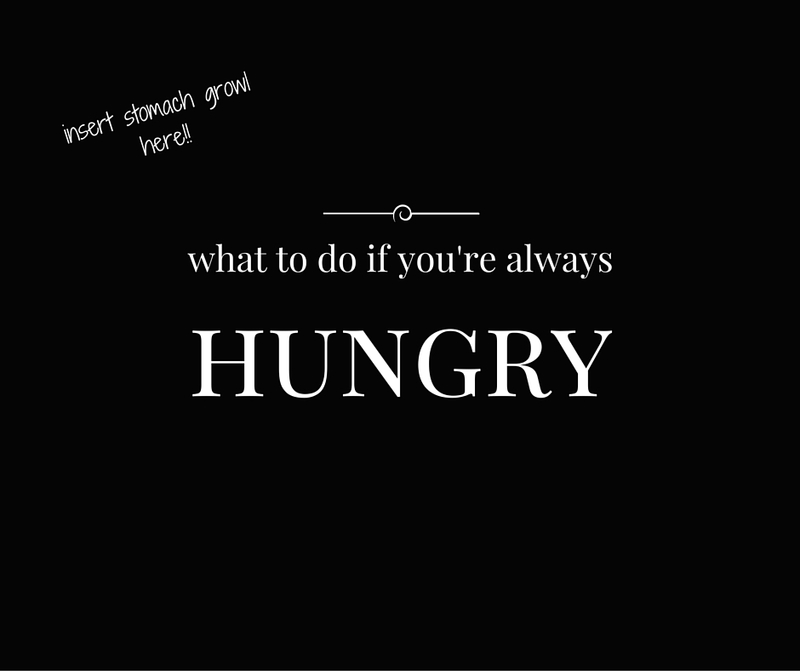 3 Reasons You Might be Constantly Hungry! There are so many nutrition myths out there that it's hard to know what to believe. One thing I hear a lot is, "I'm hungry all the time," or "Shouldn't I be eating every few hoursto keep my metabolism up?" Let's talk first about why you might be hungry all the time. There are multiple reasons for this, usually linked to what you are eating in the first place. When you consume simple, unrefined carbs, they aren't doing much for your body besides keeping your blood sugar levels up, keeping insulin pumping and inhibiting you from burning fat. Having a snack made of crackers, cookies, pita chips, pretzels, and on and on will not help you to stay full. It will create a new craving for more of the same in a fairly short amount of time. #2: You aren't eating enough quality foods in your meals. This can happen two ways, first, linked to the first point. Your breakfast, lunch and dinner are too heavily composed of refined or simple sugars. Maybe you're having cereal and milk for breakfast, or a bagel or toast; a sandwich at lunch and pasta for dinner. You've basically had low-quality, nutrient lacking carbs for your meals. The second way this may be true is when you aren't eating enough in general at meals or are skipping them altogether. Now, I'm all for intermittent fasting and can teach you more about that, but if you in general are just having an apple for lunch, or using a protein bar to get you through almost your whole day, you really should be hungry. Your body hasn't gotten anything it needs to run all day. In this case, you need to revamp your nutrition in general. Use whole foods and add more vegetables and fruits to your life. Breakfast can be just fruit, that's fine, however you are way better off than eating a bagel. In your lunch and dinner, always always include non-starchy vegetables. Find and eat good quality, lean sources of protein. And finally utilize healthy fats in your cooking and add in more nuts, seeds and things like avocado. #3: You don't know when you're really hungry anymore. If you have gotten into the habit of eating just because it's that time of day, or there's nothing else to do, or you're watching tv or reading. It's time to get real with your mind and body. Before you eat anything, anytime, ask yourself, "Am I really hungry?" and then you might need to wait to see. You can get yourself out of the kitchen or cupboards and wait a little while. Distract yourself, and drink some water. Because it's always a good idea to drink water for one, and again, if you might have felt a little hungry, you will feel fuller from drinking it. Ask yourself if any of these things are true for you. It's a great thing to become aware of. Also, if you have been eating all day long, or perhaps eating some nutrient lacking foods, it will take a little time to make the shift. Yes, you will feel hungry for a period of time because your body is used to being fed. So when you feel those little pangs, just know that you are making a shift internally and good things are happening. Ease into it and commit to making a change, it will be easier the more consistent you are. Post below if any of this is true for you - or what you do so that you don't constantly feel called to snack! How to know if your produce is really organic!? !